Appellation or Vine Franciacorta D.O.C.G. This wine is made with a careful selection of the best bunches with very low yields per hectare to obtain a high quality of the grapes harvested and vinified. Only the free-run must, made from a light pressing of grapes, ferments in stainless steel tanks and remains at rest until it is bottled for the second fermentation. 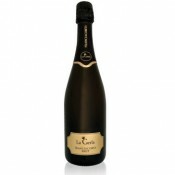 After an aging period of at least 30months, the bottles are subjected to the operation of remuage and degorgement before being packaged and marketed, at least 2 months after that operation. The color is pale pink with delicate nuances of copper and old gold. 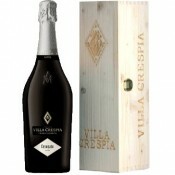 The aroma has classic tones, which evoke the vine, yellow peaches and blackcurrants. It shows an excellent complexity and slight mineral scents. The taste is delicate, fresh and fruity. It has a pleasant, harmonious and balanced character. It has a soft and persistent mousse with an excellent perlage. 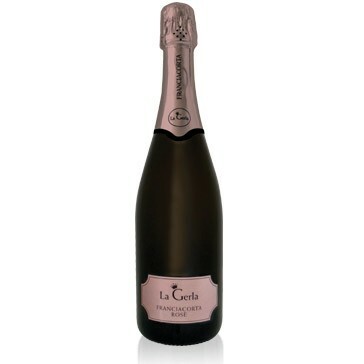 La Gerla is a small family-run winery located in Franciacorta, North of Italy, not far from Lake Iseo. Giuseppe Zanotti has always been a farmer, he took care of his vines with daily dedication, obtaining high-quality grapes from vineyards in the high hills, plenty of natural light. Now the passion for this wonderful land was inherited by his daughter Marialuisa who now runs the business in the constant search for quality. The estate vineyards are all located in the municipality of Gussago, the heart of Franciacorta. The grape varieties are: Chardonnay, Pinot Bianco and Pinot Nero. ideal to accompany rich and tasty hors d’oeuvres of meat, cold cuts or fish, tartare of veal or beef, tartare of red tuna, panfried red meats served as a main course. 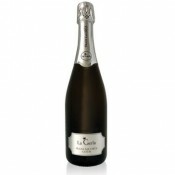 We recommend serving at 4°C in clear, transparent crystal flutes after removing the cork very delicately.